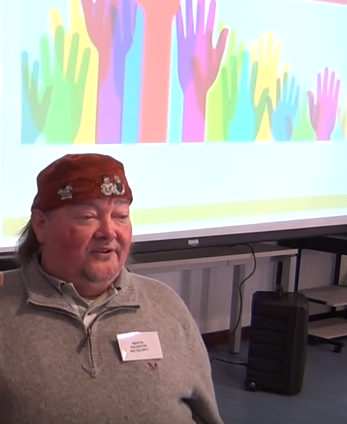 Director of Áiseanna Tacaíochta (ÁT), Martin Naughton, recently spoke on the topic of disability policy in Ireland at a University College Dublin (UCD) Disability Studies research seminar. Responding to the keynote address by Professor Gerard Quinn of the Centre for Disability Law and Policy (CDLP), Martin discussed his perspective and experience on why disability policy is so slow in Ireland. Martin shared how disability activists and advocates have influenced policy and led to new approaches over the past thirty years. He encouraged researchers to spend time with people with disabilities in their own communities, gaining first-hand insight and experience that will make a more significant and positive impact on their studies, yielding more positive developments for everyone. You can watch Martin’s talk below or click here to access the video.